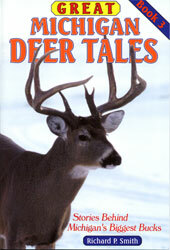 Monster bucks bagged in every region of the state are covered. 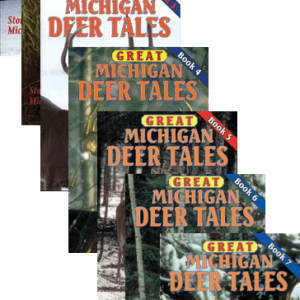 This book includes another collection of exciting stories about whopper whitetails bagged in Michigan like the three previous volumes and some of them are loaded with important information for hunters. 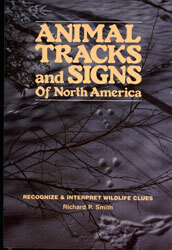 One of the chapters is about the highest scoring typical known taken in North America and includes a photograph of the buck when it was alive. 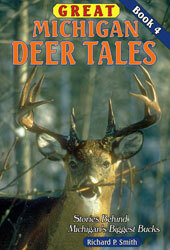 Another chapter covers a world record 8-pointer. 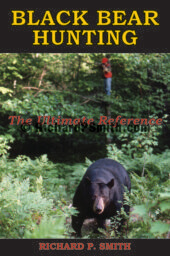 Lessons that can be applied to your hunting are in every chapter.